Adobe After Affects, Premiere Pro, Avid Media Composer. "Open yourself to modern-day animation"
What I love best about Final Effects is how I can use it with a program I already use regularly, after effects. The possibilities are endless. I am just entering the world of 2d and 3d animations, and Final effects has been a huge help. I also love how you can play with lighting and special effects. Also, there are so many interesting filters! I don't know, I am still discovering the program and will possibly eventually stumble unto something I dislike, but not yet! It may be a challenge to use this product if you do not know after effects or similar programs. The learning curve can be steep for someone who does not have graphic design experience. I have made very interesting and eye-catching publicities. Final effects has opened up a world for us! "Improve your aesthetic with this!" lots of cool features and effects. the overlay control makes it easy to work on with adobe after effects. quick and responsive effects. a cool design look and feel with just a slide. "Filters and presets for days!" I love all of the stylized filters Final Effects has, such as vector blur, glass, kaleida, and 3D Relief. There is an endless amount of presets and filters to choose from. 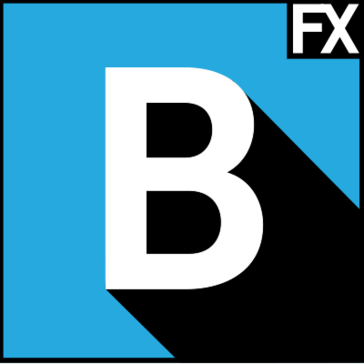 I don't dislike anything about what Boris FX is doing! We use these types of softwares everyday in the office. They are really helping make things easier and faster for us. "literally the Final Effects for your video"
Boris has high quality effects presets that are just a cut above the rest. price - it's good, but expensive. Annual subscription in specific was pricey. * We monitor all Final Effects reviews to prevent fraudulent reviews and keep review quality high. We do not post reviews by company employees or direct competitors. Validated reviews require the user to submit a screenshot of the product containing their user ID, in order to verify a user is an actual user of the product. Hi there! Are you looking to implement a solution like Final Effects?